It is an oft stated belief that silence is the most powerful effect in the canon of film sound techniques and tricks; a seemingly obvious nod to the lack of music to the lead the viewer emotionally and also a gentle nudge at the general over abundance of non-diegetic score in film. 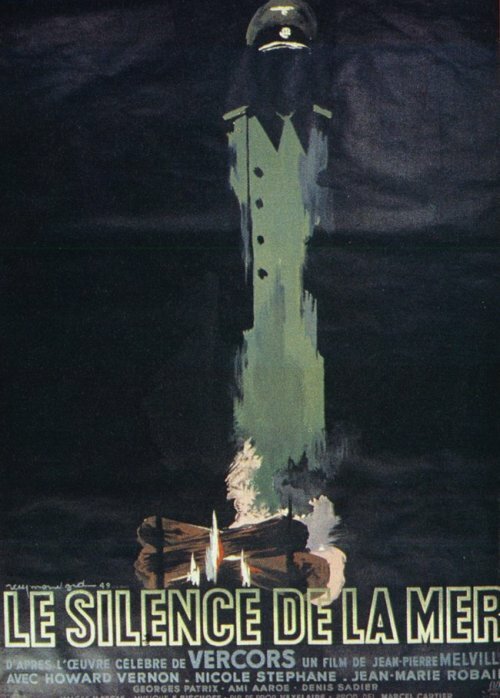 One of the most stark and allegorical uses of silence can be found in the debut film of French filmmaker Jean-Pierre Melville; Le Silence De La Mer (1949). The title alone gives away what is to come aurally within the diegetic character worlds presented in the film but its narrative leanings to the very meaning of silence is something that is very interesting indeed. The film is based on Vercors’ underground resistance novella, based on genuine events from the writer’s life. The viewer is presented with a gentle but definitive form of resistance in the form of silence and refrained solitude towards a Nazi officer who has to live in the cottage of a French academic and his niece while in the area. Without being overtly hostile, the two hosts ignore the presence and conversation of the cultured and polite officer who increasingly engages them in one sided conversations on his burgeoning Francophilia and adoration of French culture and art. The use of silence is well documented from a narrative perspective. The fact that Vercors watched closely over Melville while making the film (even going so far as to let him use his actual cottage to shoot the film in) means that the original allegory of the silence in the narrative is present and healthy without any loss during the transfer from medium to medium. It does however present an interesting aural dynamic to the film that adds to the narrative while also creating something rather new. The uncle and niece are rarely heard to speak and even when the viewer does hear them, it is often in a voice over in the past tense, allowing a time gap between the sound of the resisting French and the German aggressor. However, it seems wrong to call the officer an aggressor. He seems desperate to talk to the two on the basis of their book collection, their obvious interests in music and as an alternative to his experience of trying to discuss such things with other Nazis. The sound of Howard Vernon’s voice becomes an ever changing leitmotif for the desire to escape a cultural solitude; his gradual acceptance of their standpoint shows a transition from sadness to vague happiness in knowing that though they won’t respond it doesn’t the mean the characters are not listening. The silence in the film is actually rather hidden by Melville’s soundscape. Edgar Bischoff’s score invades most areas of the film but the director adopts a typical approach in terms of intersecting scenes with it while also allowing the cold hollow silences that follow Werner von Ebrennac’s attempts at conversation to blossom. One step further would have been to adopt a Dreyer/Bresson like philosophy of minimalism and avoid score completely but even with some musical guidance (and the inclusion of the most obvious and mundane of audio-visual effects; the montage scene) it still manages to seem radical and a forerunner for French New Wave movement. Another interesting aspect is the character’s relationship to music, both in the film and the novella. This is assumed to be the same considering the close relationship Melville and Vectors had when making the film, though the cinematic interpretation edges slightly ahead. More than the novella, it makes the assumption that the opposite of silence is music rather than simply just sound. Though they both bask in the seemingly infinite chasms of awkward silence, when music is brought in to question the character’s moral ideals, the film becomes more than just a parable. Von Ebrennac was a composer before becoming a Nazi officer. The uncle finds him playing Bach on their household organ to a beautifully high standard. Yet, the officer finds the music of Bach “Inhumane”. It seems the opposite of what is to be expected from an officer of the Third Reich. Instead he cites himself as wanting to be a “Humane Composer” showing and highlighting the difference between the German and the Nazi ideology. His love of music is almost equalled to his love of writing, especially that of the French. 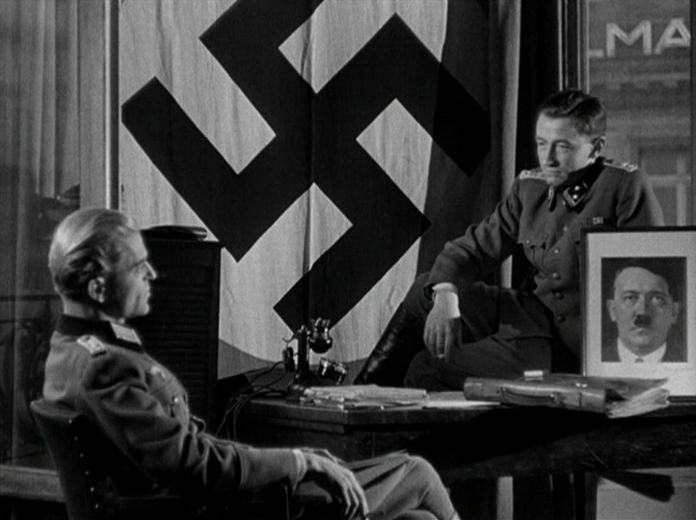 In the film’s most powerful moments it shows the Nazi’s disregard for this in spite of their cultural admiration while at a Nazi headquarters in Paris. Both music and culture are present in the room with von Ebrennac but instead of seeming to be a beautiful creative release, they are presented as the fleeting pastime of the fascist. 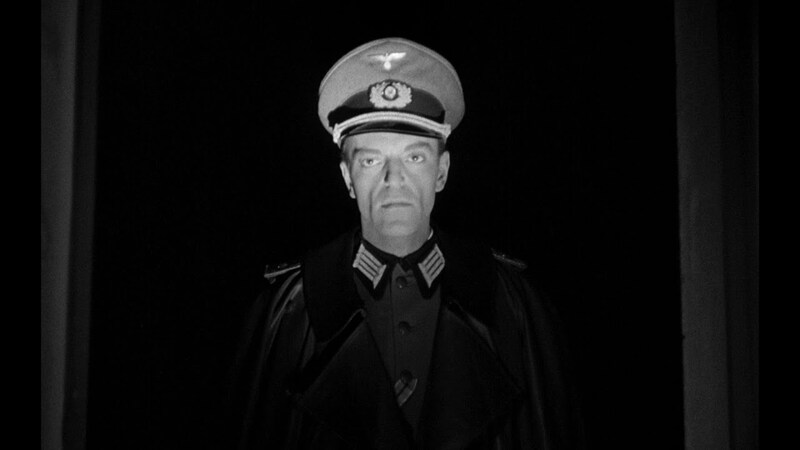 The silence is replaced by the appalling dogma of the Nazi officers which not only shocks von Ebrennac but shows the audience just how powerful the French silence is. The officer’s choice between silent resistance and extreme fascism is presented through culture, especially through the culture of sound and music. In the end, the film is obviously unsympathetic to the character. He goes off to fight again, forgetting the emotional and cultural release that the silence allowed him to express. Though the use of silence in the film is barely given the chance to fully achieve its effect, its place in the narrative is solidified by the visual rhythm of the film. However, the silence also gave him the choice and though he is clearly a man whose heart is not truly in the war or the fight for Nazism, the sad fact that he made his choice to leave and fight for something he doesn’t believe in shows how the silence of the niece and uncle, unwavering, calm and defiant, was necessary in the first place. Did I just imagine a chromatically wreathed arrangement of Rodgers & Hart’s “Funny Valentine” by Edgar Bischoff, the score’s composer, played by a string ensemble (perhaps a sextet or octet)? It fairly exudes the chromatic decadence of prewar Viennese music against which Theodore Adorno railed as the embodiment of that Western cultural exhaustion which opened the door to Naziism. What is the significance of the choice of songs, if any? Odd of Scovell to ignore it. I studied this novel for French A-level and it’s stuck with me ever since. There’s an English translation by Cyril Connolly. I’ll check out the film, thanks.